There is no baseball being played by any NL East team. Only the Atlanta Braves made it to the postseason, but they were eliminated in the division series. This gives us the opportunity to look back at the 2018 season and see what can be learned from each team. This will be a four part series. The goal is to analyze each team (besides the Mets) to figure out what went right, wrong and what to expect heading to the offseason. This will be done on a worst to first basis. This past offseason, saw the Miami Marlins get a lot of media attention. Bruce Sherman led a team that included ex-Yankee captain Derek Jeter and bought the club. Jeffrey Loria had owned the team from 2002-2017. For most of that period the team was irrelevant. The Marlins made the postseason just once during his reign. The last time the Marlins finished above .500 was in 2009. With the worst NL attendance for the past several years, it was clear that a change was needed. Many Marlins fans were glad to see a change in ownership. Unfortunately for the fans, the change was not as magnificent as hoped. Under the new leadership, Miami decided to sell off any valuable parts in a major rebuild effort. Dee Gordon, Giancarlo Stanton, Marcell Ozuna and Christian Yelich were all traded before the season. The Opening Day lineup was filled with many no-name players. After starting the season 5-17, it was clear 2018 was not going to be a fun ride. 2017 saw the end of the Stanton-Yelich-Ozuna trio. Offensively, this was arguably the worst team in baseball. They ranked last in runs scored, doubles, homers and OPS. For a young team, they didn’t have much speed and ranked second to last in steals. As individuals, there weren’t many bright spots from all these youngsters. Lewis Brinson hit south of the Mendoza Line. JT Riddle had an OPS of .653 on the season. When you look at the stats of other guys, it is hard to be optimistic. Yadiel Rivera, Magneuris Sierra, Rafael Ortega and Austin Dean all had opportunities and didn’t impress many people. Not all was catastrophic in South Florida. Brian Anderson put together a nice rookie season. JT Realmuto is making a case that he is the best catcher in baseball. as he had career highs in numerous offensive categories. Derek Dietrich and Starlin Castro each had solid seasons but will be 29 next year and are approaching free agency. Miguel Rojas was decent offensively and played great defense. Being that he will be 30 in 2019, it is hard to see him as a big piece of the future. As a team, the Marlins did not pitch well. They were last in the NL in ERA and K’s while being second to last in WHIP. They surrendered 192 dingers, which is a red flag considering that they play in a pitcher friendly park. While Jose Urena is hated, he isn’t a bad pitcher. The rest of the rotation leaves a lot to be desired. No pitcher tossed over 35 innings and had an ERA+ that broke 100. In other words, when you adjust for ballpark factors, all these pitchers were below average. Marlins Park has been one of the emptiest since its opening. 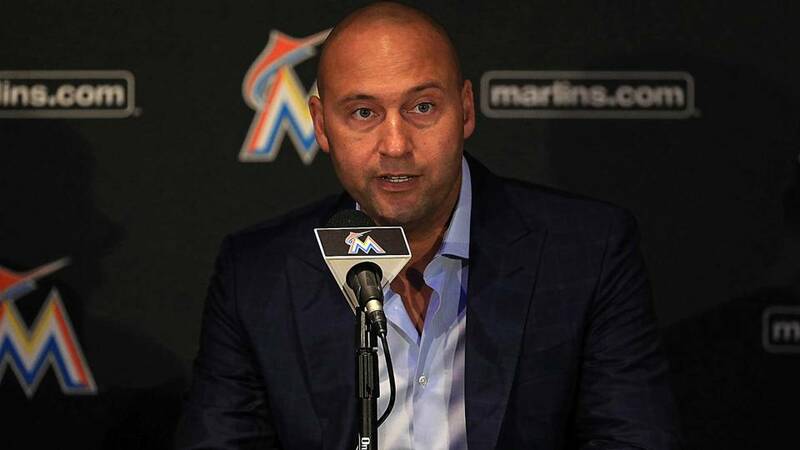 While this could all be expected from a team in rebuild mode, the Marlins don’t really meet the main criteria. A team that is rebuilding should have a good farm system. Prior to 2018, their minor league system ranked 19th overall. However, after the trade deadline, they dropped down to 25th place according to Bleacher Report. In other words, they promoted guys like Brinson and Anderson, but weren’t winning at the big-league level. Brinson was their top prospect and his poor offensive season is worrisome. MLB pipeline doesn’t even have their top ranked prospect, Monte Harrison, on the top 100 list. While it is true, that these lists are not perfect at projecting big league success, the experts do not think that the Marlins many trades have landed valuable prospects. Moving forward things don’t look great in Miami. They have the longest NL postseason drought and it doesn’t look like this will change so quickly. Assuming they don’t have a winning season in 2019, they will be the only team to have a sub-.500 record for each year this decade. The Marlins home attendance declined as the season progressed. Here is what we can learn. For starters, changing ownership is not a guarantee for success. Secondly, rebuilds can be endless. The 2013-2017 Marlins built a team with a lot of offensive talent, but the Stanton-Ozuna-Yelich combo never translated into many wins. One must never forget the importance of pitching. Lastly, the fans should not be taken for granted. Remember the Marlins Man fiasco before the season? It turns out that not only did he not show up, but no one did. The 2018 Marlins drew a mere 811,104 fans. To make matters worse, there are plenty of games where it seems that Marlins fans are a minority. With all the outrage that fans feel towards the new ownership, this phase could last a while. If things don’t improve, don’t be shocked if the idea of relocating the franchise is thrown around. Right now it is not on the table, but they meet a lot of the criteria of a failing franchise. For part two on the Phillies, click here.